Have not had too much to report of late. The last two weekends have seen Dad and I tossing lures in Morriseys creek for Barra and Jack. But its been very quiet overall. 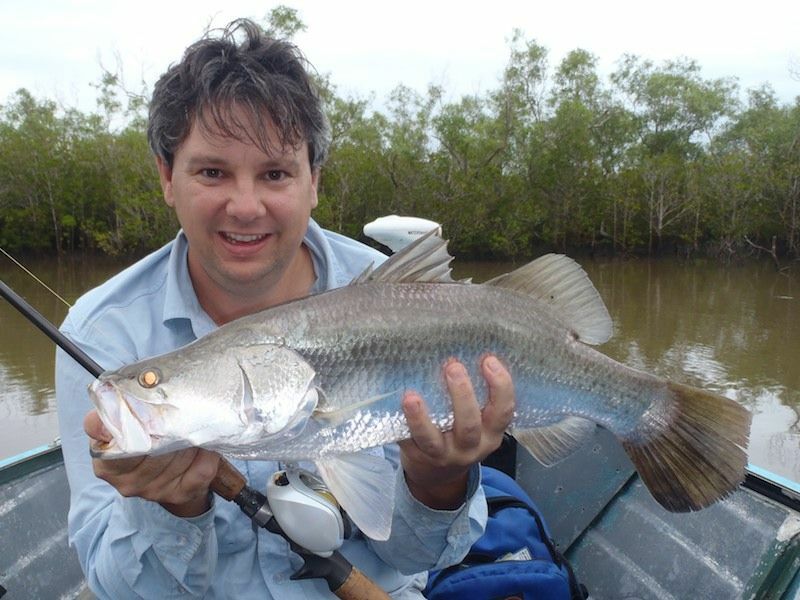 We have upped to the 4in prongs in an attempt to lure out the bigger Barramundi, but we are yet to see one much over 60cm. 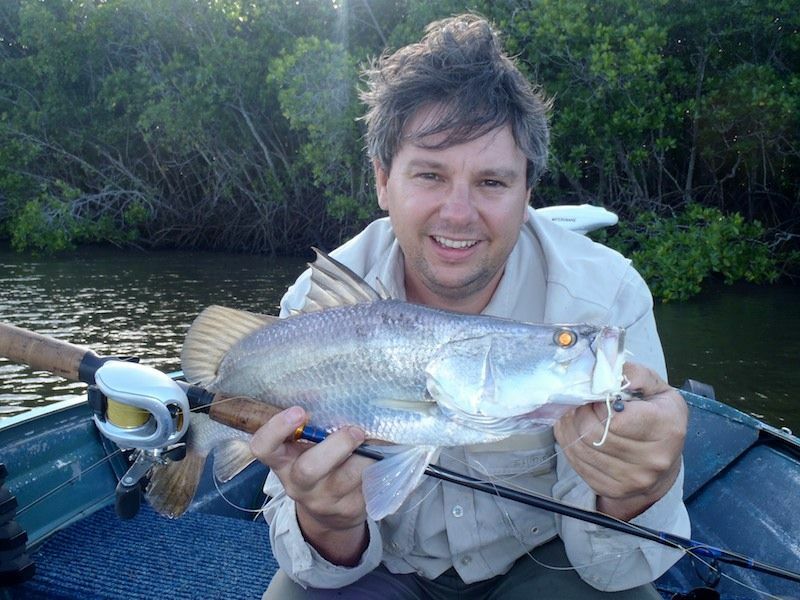 And the Mangrove Jack have totally eluded us altogether. Not sure where they are hiding out at the moment? But from massive tides one weekend to almost no run the next, I'm not really too surprised. 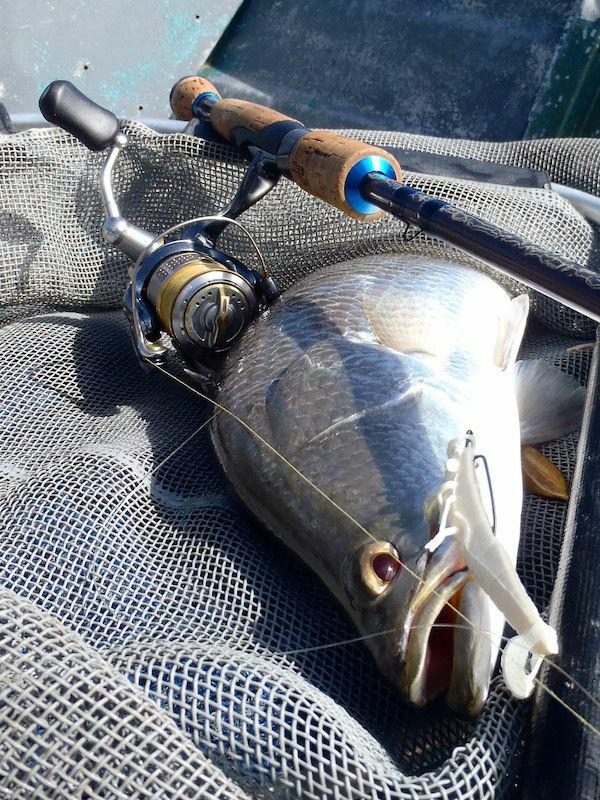 But its still nice to find a few fish around to keep us entertained. Easter holidays not too far away. I'm sure we will get among em them. If we don't, the water will be cooling down soon and the fish will slow. Last weekend already saw the water temp down around 23-24ºC!